Glenda Dale Loveless was born August 31, 1967. She passed away on August 14, 2018, losing her battle with cancer. A Memorial will be held Sunday, August 19, 2018 at 2:00 PM at Cascade Hills Church with Pastor Gene Boyd officiating. Following the service will be a Homecoming meal at the Church’s Park Pavilion. 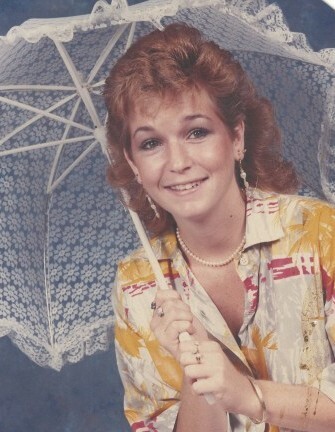 Glenda’s greatest love was her son, B.J., friends, family and front porch settin’ with all of them. She is preceded in death by her father, Morgan D. Loveless and grandmother Betty O’Brien. Surviving are her son, John William Senecheck Jr., 2 grandchildren, Leilah and Phoenix, mother, Rebecca J. Lowe, grandfather, George O’Brien, 3 sisters, Denece O’Neal (Andy), Kim Young (Randy), Deedee Simpson (Garry), 8 nieces and nephews, Jay, Adam, Paul, Justin, Becca, Felisha, Micheal, and Colby, all who she loved dearly, as well as many great nieces and nephews, cousins Betty Joe, Jean, and Sharon, and to her many friends both old and new, she loves you! In lieu of flowers, please feel free to donate to the Columbus Hospice House or bring a covered dish to the Homecoming Meal on Sunday.